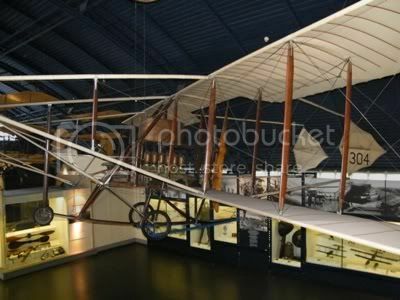 This aircraft was built by SF Cody after he was dismissed in 1909 by the War Office. He was allowed to set up a shed near the Balloon Factory at Farnborough and continued his work there. In 1912 the Military Aeroplane Competition was held on Salisbury Plain. Thirty one entrants spent a month performing tests for speed, endurance, rate of climb, landing on ploughed fields and for other qualities that the Army thought useful. The result caused some surprise, for by then Cody's design looked out of date, although he achieved high scores on the tests and 'Flight' magazine noted 'almost any part of the machine could be replaced by a blacksmith, which might be... most useful in war'. But few begrudged Cody his success; he was much liked and, since his dismissal from Farnborough, had 'exhibited the perserverance of a hero'. The aircraft here was built under the terms of the competition prize for sale to the Royal Flying Corps. 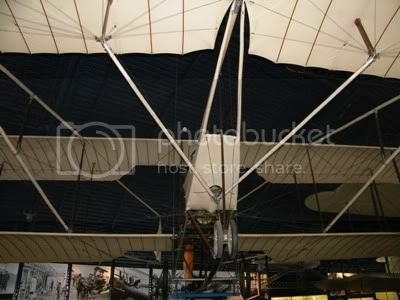 After about three months service it was declared obsolete and offered to the Science Museum, where it has been displayed since 1913. 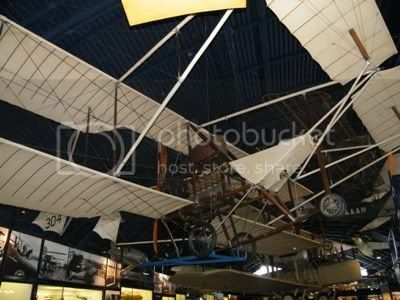 So not only is this an Edwardian aircraft, it is also an Edwardian museum exhibit!